Times are changing. 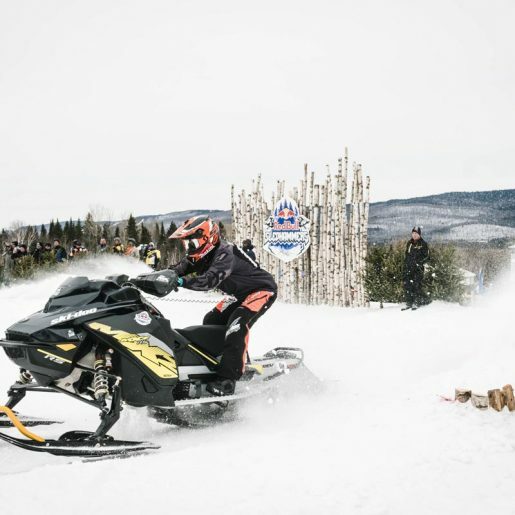 Those with their finger on the pulse know that many of the US Forest Service districts are currently re-writing the rules for snowmobile use on public lands. 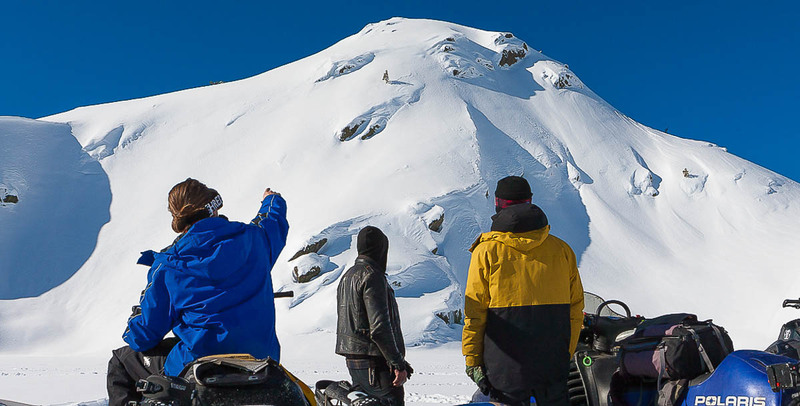 In my home mountain range of the Sierra Nevada, the Sierra Snowmobile Foundation (SSF) has taken the lead when it comes to informing the local snowmobile community on what is happening with this process. The SSF is educating sledders on how to provide meaningful comments that will ultimately affect the outcome of the land management review. Without the work of the SSF, these comment periods might come and go without the input of thousands of snowmobilers. 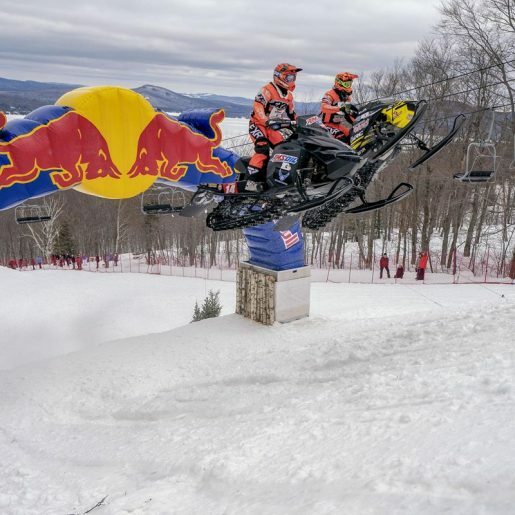 The ability to access terrain like this on a snowmobile is what's at stake. To continue in its fight for the right of sledders to use public lands, the SSF will host a film night fundraiser to take place December 15th, 2018. 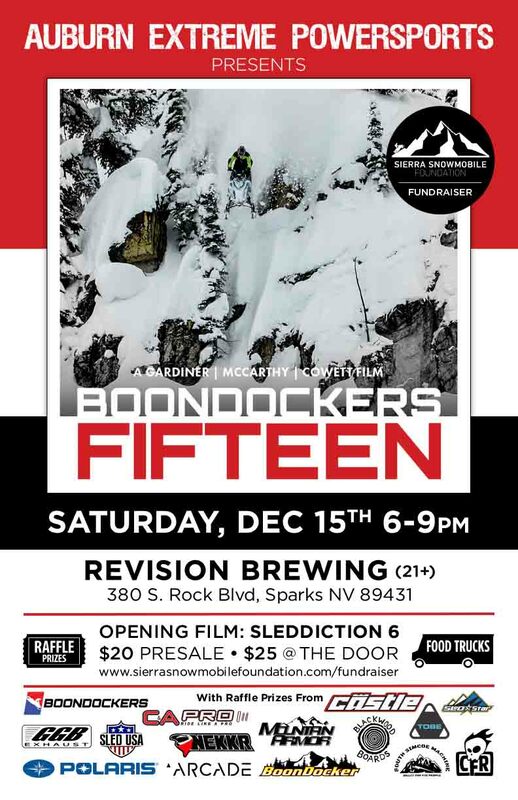 The SSF fundraiser/film premiere/season kickoff party will take place at Revision Brewing in Sparks, Nevada. 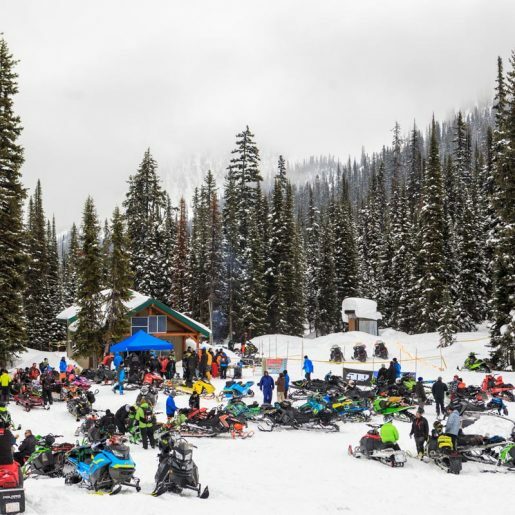 To explain why the fundraiser is necessary, I spoke with the head of the Sierra Snowmobile Foundation, Dennis Troy. Ben: Why is SSF holding a fundraiser? 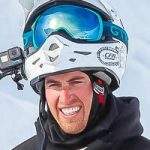 Dennis: The Sierra Snowmobile Foundation is holding a fundraiser to raise capital to help fund our legal counsel as we work towards keeping the public lands in the Sierra Nevada Mountain range open to Over Snow Vehicle (OSV) use. While many members on the board of the SSF have technical writing backgrounds, we need professionals to help draft legal objections to recent and future decisions which propose to close down riding areas. Our partners at the California Off-Road Vehicle Association have been an integral part in doing this, and it is time that we all band together to keep public lands open to all users. What’s happening with the public forest in the Sierra Nevada? Due to a lawsuit and subsequent settlement agreement, the United States Forest Service (USFS) is preparing OSV travel management plans for five forests within the Region 5 Pacific Southwest District. The plaintiff (human powered advocacy groups) have been using this process as a way to push for closures within the forest. The ruling does not specifically require the USFS to close lands, but this process is being used to do so. The SSF is one group that is providing the voice for OSV users and letting the USFS know that the proposed closures being pushed forward by these groups are unfounded and have lifelong implications on users of public lands. Currently, 80% of lands above 8,000ft in the Sierra Nevada Mountain range are closed to OSV use. The SSF is taking a stand that enough is enough. 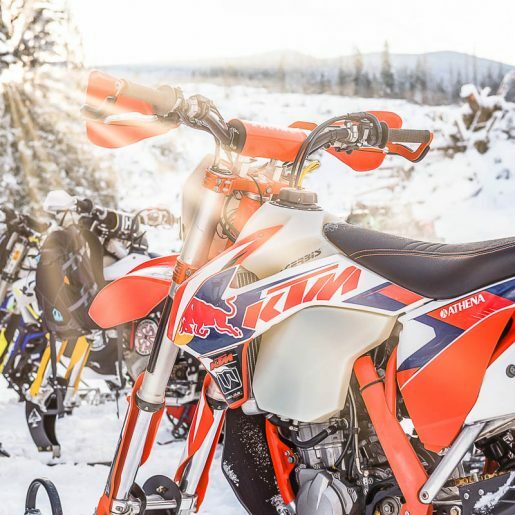 What’s the most important thing that backcountry snowmobilers need to know about to make a difference? Share your voice! The SSF realizes that not everyone has time to sit down and read a technical 700-page document analyzing OSV travel management. One of our main goals at the SSF is to take those documents and dissect them and help OSV users provide accurate/succinct comments to the USFS staff. Many USFS staff members are not snowmobilers, and therefore do not recognize the implications behind proposed closures. It is now our job as snowmobilers to educate the staff and let them know the repercussions behind the proposed closures. What’s a recent success for SSF? The SSF staff was able to sit down with USFS staff for the various forest and explain OSV travel and use patterns throughout the forests. Furthermore, we were able to explain why it is imperative to keep riding areas open in the Sierras, as they are severely restricted as-is. The USFS staff was clearly only hearing the plaintiff’s side, and not the OSV users’ viewpoints. By doing so, we were able to keep open many popular riding areas and eliminate proposed closures of travel corridors that forced users into dangerous, avalanche prone areas. The snowmobile community in the Sierras now has a spot at the table, and the decision makers are listening. We will continue to work with USFS staff to make sure that the OSV community is fairly represented, and one-sided decisions that shut down public lands are not made. For more information, please check out the Sierra Snowmobile Foundation fundraiser webpage.